Lauren's Boookshelf: Unboxing: Owlcrate's "Lost In a Bookstore"
Hello everyone! I sure hope your month has been good so far. Mine has been going great! I've read so many books, written so many blog posts, and am doing well in my courses. Today I'm here with a super exciting blog post: my October Owlcrate Unboxing! I haven't gotten an Owlcrate in over a year but when I heard their theme for this month, I knew I had to get it! I snagged one just as they sold out..woohoo! Anyway, it was definitely hard to avoid spoilers since a lot of people I follow had gotten theirs already and I have little self-control once I'm made aware of the fact that I can go ahead and sneak a peek. However, I made it through and am so excited to be unboxing this for you all today! So we start off opening the box to this view. On top we have the spoiler card. This is a beautiful print that follows the monthly theme and on the back has a listing of all the items and vendors that are included in the box! Very informative for bookstagrammers like me who like tagging the vendors in my pictures! Later on, we had this beautiful monthly pin that matches the spoiler card. At the very bottom of the box, we also have the little magazine which includes interviews with authors and vendors, information on photo challenges, puzzles, and more! The next item is this gorgeous pair of socks from Out of Print and Underlined. I got an Owlcrate box a couple years ago and they included a pair of socks from Out of Print so I'm super excited to have another pair! These have open books all over them and they spell out BOOK NERD on the soles of the feet. I can't wait to wear these when I'm in my cozy chair reading the rest of this fall. The next two items were a bag of tea and a heart and arrow shaped tea strainer. I cracked the tea open just to smell it and oh lordy does it smell amazing. I'm not a huge tea drinker but I've been getting more and more into it lately, so I'm pretty excited to get to try this blend. The strainer is also pretty cute, although I'm wondering how I'm going to effectively clean it whilst living in a college dorm. The tea was from The Tea Spot whilst the strainer was created by Team Owlcrate. Following, we have a gorgeous Mirror of Erised, Harry Potter themed print. There's something so simplistic and beautiful about this print and I can't wait to put it on my HP shelf next to all my other merch. This print was designed by Michelle Gray, who also had input on the tea strainer! This month's box included two books, which was a huge reason that I resubscribed this month. The first book was Pride by Ibi Zoboi, a Pride and Prejudice retelling set in Brooklyn. 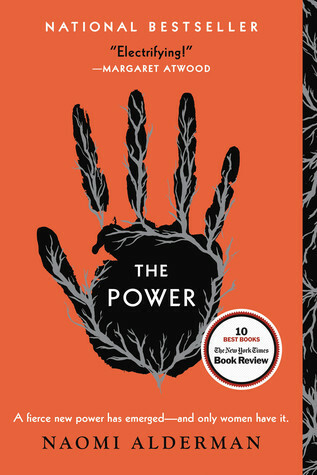 Not only was this cover an Owlcrate Exclusive, but the book itself was signed by Ibi and came with a letter from the author and matching bookmark. The second book this month was Shadow of the Fox by Julie Kagwa, a newly released fantasy inspired by Japanese folklore and culture. This book also had an Owlcrate Exclusive cover, was signed by the other, came with a letter from Julie, and came with a matching bookmark. The last item was actually underneath the books but is probably my favorite item in the entire box: a canvas clutch purse designed by Bookworm Boutique. I love all of Bookworm Boutique's designs and this time is no exception. The quote is awesome and the purse is sized to be able to fit most books. I can't wait to use this! On the very bottom was the theme reveal for next month's Owlcrate: Rise From the Ashes as well as a sneak peek at one of the items: a wax seal set. I, unfortunately, am not getting next month's box because I already know what the book will be and I don't need two copies as well as the fact that I don't have a way of fitting this box into my budget for the next few months. However, I'm super excited to see what they come up with next and I hope that you'll all consider subscribing! If you do, use this link and the code BKWORM10 for a discount on your first box! 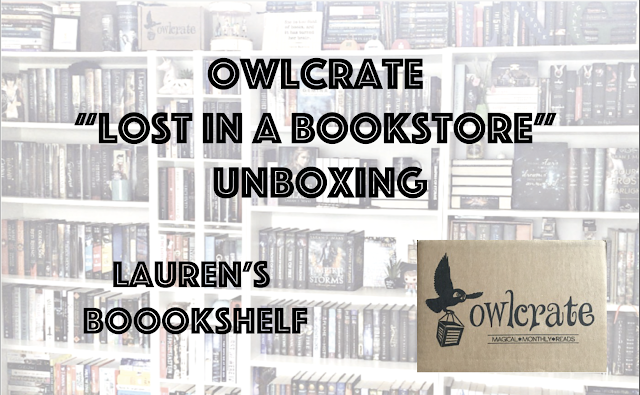 Subscribe to Owlcrate using this link and use code BKWORM10 for a discount on your first box!